Get Golf Ready Winter Series LaunchBox Style! This is our very popular Adult Get Golf Ready Series with the addition of LaunchBox Golf! We will keep you swinging throughout the winter months using our state of the art LaunchBox indoor bays! -We can help you with your alignment and accuracy using the Launch Monitor feature as well as the Points game and make it a friendly competition among the students. -We can even play historic Pebble Beach without leaving Loudoun County! LanchBox has the ability to play a virtual round of golf on world class golf courses such as Pebble, Harbour Town and Ocean Course at Kiawah Island. AWESOME! We will be able to use the putting green and our short game area on days when the temps are reasonable and we have daylight. This class is designed to help the student improve their wedge game with the use of Top Tracer Technology. Each student will have a better understanding of the height/trajectory, distance and spin. Knowing how to control the ball flight, height and distance are essential to lowering scores. The sessions will incorporate both TOPTRACER Technology and our beautiful short game area. $189 per golfer. With the use of the VIRTUAL GOLF featuring the use of Top Tracer Technology the student will learn how to manage their own golf game. This program is designed to help a player lower their scores by managing their game better. 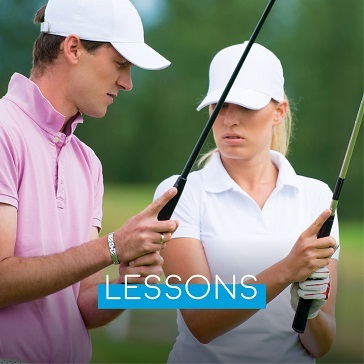 By learning exact distances of each club, shot patterns, strengths and weaknesses. Players can lower their scores by applying this knowledge to maximize each shot and have a plan to play each hole. With the use if Top Tracer Technology and the VIRTUAL GOLF application we can play par 3’, 4’s and 5’s, as well as learn how to play Dog legs using a player’s shot pattern and strengths. Improve your swing and consistency In this mode the instructor will help you to hone your skills with targets on the range, launch angle, side deviation (curve) and ball speed. These tools will help in making improvements in swing and consistency. Full Swing Technique – learn the cause and effect launch angle, ball speed, curve (spin rate), height and distance have on your swing. This information will improve your swing technique and consistency. Dig deeper into the details for each type of club in the bag. Full Bag Assessment – an instructor will help take through full bag evaluation which will help you determine if you have in gaps in your set IE: do you need to add or subtract a club such as a wedge, hybred, fairway wood, Driver. We bring the golf course to the range! Shot Shaping – Draws, fades, high, low. Ever wanted to know how to shape your shots? Hit a fade or a draw? Hit higher or lower? 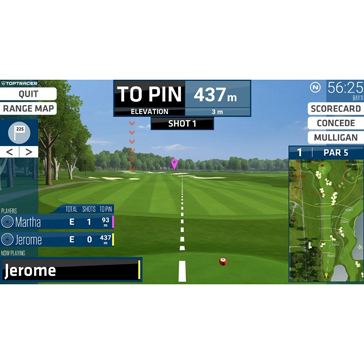 By using the Virtual Golf portion of the Top Tracer application an instructor can apply this technology to teach the proper technique and drills to learn how to shape your shots. Playing Lesson/Course Management – Dog Legs, playing a fade or draw, club selection, managing your game. With these sessions the student will learn how to manage their game, when to play a draw or fade, how to play a do leg, club selection. Using your strengths and avoiding your weaknesses.